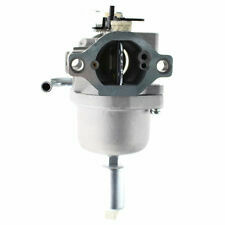 Carburetor 42 853 03-S For Kohler CV14 CV15 CV15S CV16S Carb 13hp 14hp 15hp 16hp. 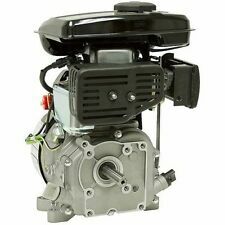 Carburetor Carb Kit for Kohler Engine SV830 SV740 SV735 SV730 SV725 32 853 12-S. Carburetor Carb for Briggs & Stratton 312777 313707 313777 28N707 28N777 28P777. 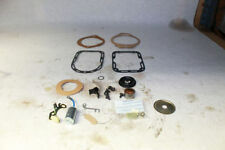 1 carburetor 2 gasket 1 fuel filter 1 fuel lin. Wisconsin WI-185. You will receive exactly shown on the picture. 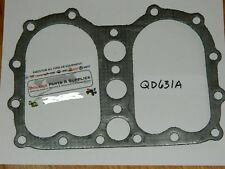 This is a Wisconsin Engine Cylinder Head Gasket. QD829A (43F1). Part listed replaces part numbers and fits machines listed, however there can be other part numbers depending on when the machine was built. NEW WISCONSIN OIL BATH AIR FILTER KIT. PART # LO-24. I have this style cap on a few Wisconsin engines I have. But totally depends what fuel tank is used. 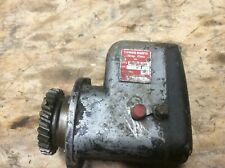 Used magneto from Wisconsin engine AENL,AEN all in good mechanical condition . Part # YQ-19. I have 3 sets. Not sure of applications. Take a look. A very nice find. Wisconsin Fuel Cap. P/N: RC-87. We do not Export. Location: Y-13-1. FUEL STRAINER Wisconsin Engine Parts. Small Engine Warehouse. Part # YQ3. What is shown is what was in the boxes. Engines that have a Fairbanks Morse Magneto. Not sure of applications. Take a look. A very nice find. Part # YQ-18 I'm not sure of applications. Take a look. A very nice find. Part # YQ4. What is shown is what was in all 3 of the boxes. Not sure if anything missing. Engines that have a Fairbanks Morse Magneto. Not sure of applications. Take a look. A very nice find. P/N: VE527W. We do not export. Location: Y-13-1. 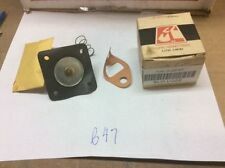 NOS 63UCL14-4966 Release Bearing Assembly Wisconsin. PART # QD616. 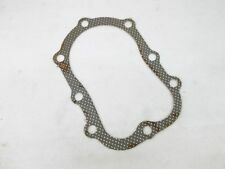 NEW WISCONSIN GASKET. Part # YQ17. Possible engines with Fairbanks Magneto Parts. Points, Condenser, and misc parts. Not sure of applications. Take a look. A very nice find. 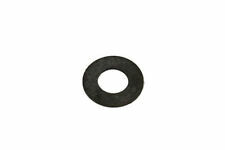 This is a Wisconsin Engine Carburetor Gasket. QC71A (36E-bxA). Part listed replaces part numbers and fits machines listed, however there can be other part numbers depending on when the machine was built. Sorry but no local pick up available. 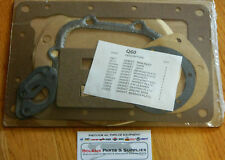 Part Number QD484 or QD484A. This one is stamped IGB-1 on the underside. Not sure of applications. Take a look. A very nice find. PART # LO173. NEW WISCONSIN AIR FILTER & COVER. 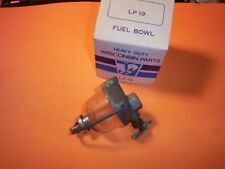 NOS Wisconsin Engines LO194 Air Cleaner Assembly OEM Small Engines LO-194. This comes with the hardware, and a filter. Please look this part over before purchasing. What you see is exactly what you will receive. If you have any questions, feel free to email me. Thank you. 7% Iowa sales tax is required to be paid by Iowa residents only. I will send an invoice with the amount due. International shipping is available. Please email me for a quote. International shipping will be paid by the buyer. These parts have been sitting in their parts boxes on a warehouse shelf for several years and boxes are dusty and dirty. Sorry but no local pick up available. Part # LO187S1. I'm not sure of the years or models this is used on. A complete Kit. A very sought after piece. Take a look. A very nice find. 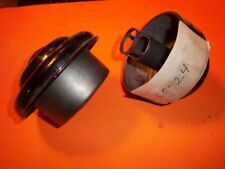 NOS New Wisconsin Engines LO28 Air Cleaner OEM Small Engines Tractor . Please look this part over before purchasing. What you see is exactly what you will receive. If you have any questions, feel free to email me. Thank you. 7% Iowa sales tax is required to be paid by Iowa residents only. I will send an invoice with the amount due. International shipping is available. Please email me for a quote. International shipping will be paid by the buyer. We are always adding new inventory. We are Tired Iron Classics. 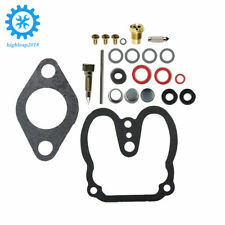 The parts include: Piston DB218A, connecting rod, DA70ES1, head gasket QD718, crankshaft gear GA34A, spring valve AF43B, spark plug wire YL339-14, valve seat insert HG273D, air cleaner bracket BI298A1S1 and gasket set Q24. 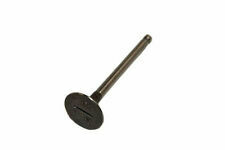 Replaces (OEM): WISCONSIN LP62AS1. Fits Models: WISCONSIN W2-1230, TF, TH, THD and TJD. When they are gone, they are gone. 2" arm length. Made by an OEM supplier. WISCONSIN ENGINE Governor Control Kit TT97A With Control LEVER VB175. Condition is New. Shipped with USPS First Class Package. Part # 31S2437. Wisconsin OEM Points Set. Wisconsin YQ 31 points and condenser. Shipped with USPS First Class Package. We are always adding new inventory. DA-68 Wisconsin connecting rod babbitt style.